The CCC is a non for profit based, registered society. 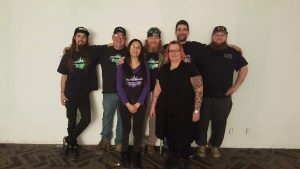 we are a community based group focusing on furthering cannabis culture by providing resources for the cannabis community. Whether it is providing literature, holding protests, hosting fundraisers, or simply getting together to have a puff, the CCC is here to help. We are a Community Hub for people to get together and become more educated in regards to all aspects of Cannabis. We’re located in Calgary Alberta Canada and we are a Canadian site. The CCC is very active in our community and on social media, especially our private Facebook page. We are of course on multiple platforms. Please feel free to reach out on any of our social media platforms If you have any questions at all. If you want to advertise or promote a Dispensary, Product, Event, or Service please contact an Admin HERE . We are NOT a Dispensary or a sales group. This is your one warning DO NOT post asking for or selling any product.